Hello friends! 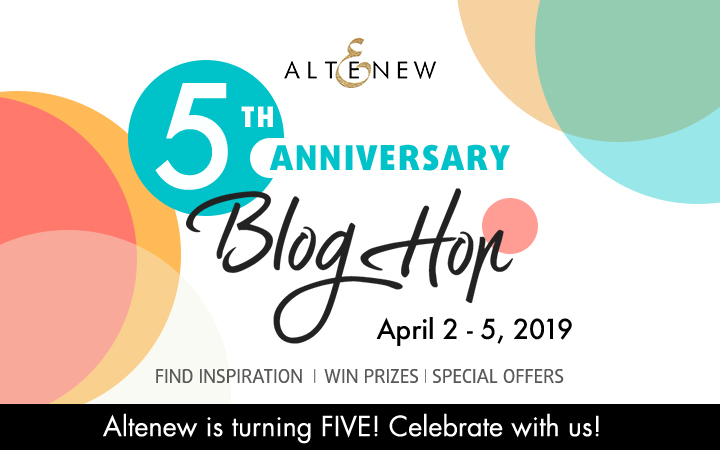 Welcome to my stop in Altenew’s 5th Anniversary blog hop celebration! 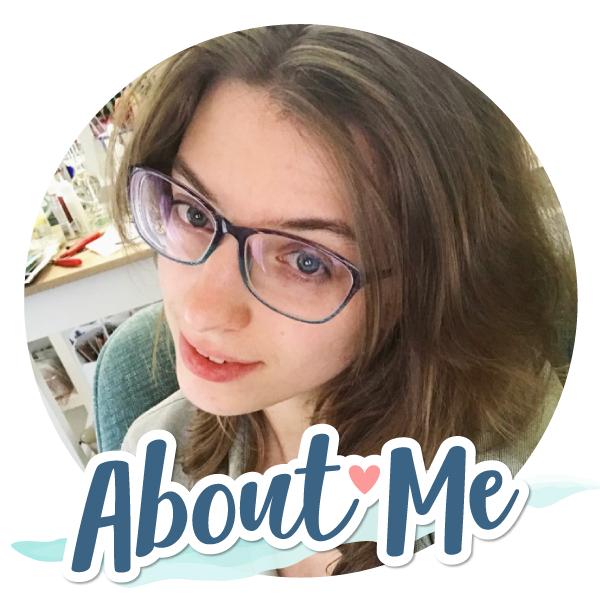 If you are just joining in the hop, you should have arrived from Lydia Evans’s blog. You can find the entire hop order down at the bottom of this post. 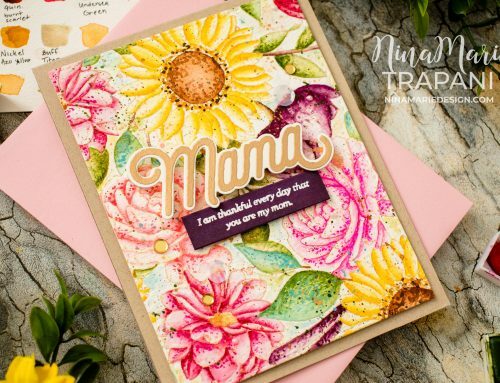 I’m honored to be part of this hop and bringing you inspiration using one of Altenew’s newest stamp sets, Darling Lily. This set features an elegantly illustrated lily, which I colored with Copic markers. 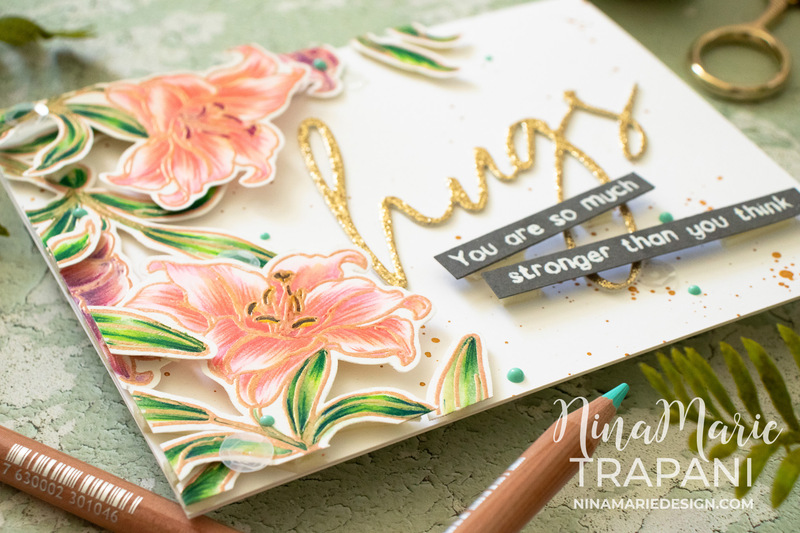 To enhance the look of these lilies, I used Luminance Colored Pencils – sharpened to a fine point – which allowed me to get more detailed with the coloring. 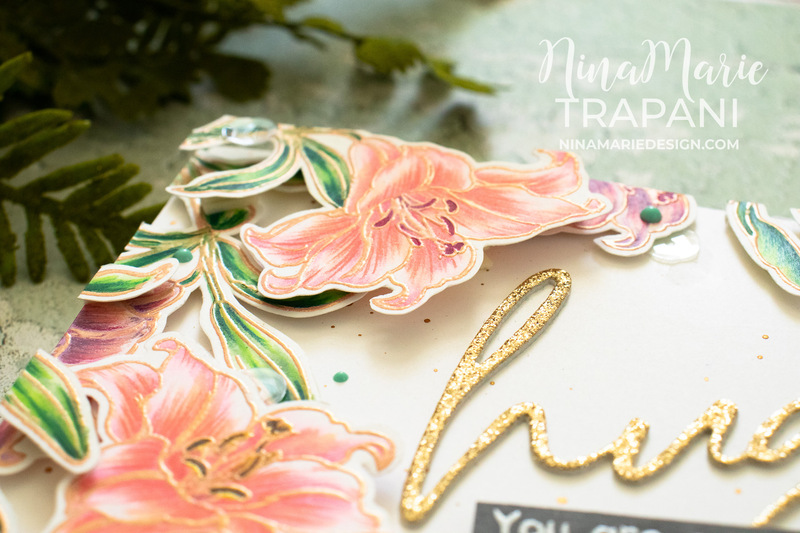 On the white card base, I splattered Tarnished Brass Distress Stain for a touch of gold; then I layered the Darling Lily florals that I had colored and fussy cut out, onto the card. 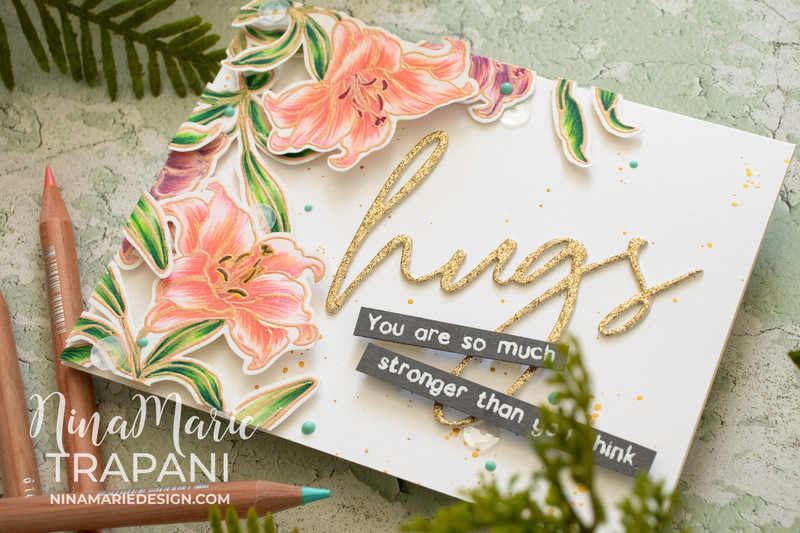 Toward the right of the flowers, I adhered a gold glitter Big Hugs die cut greeting from Memory Box, along with some supporting sentiments from the Altenew Be Strong stamp set. 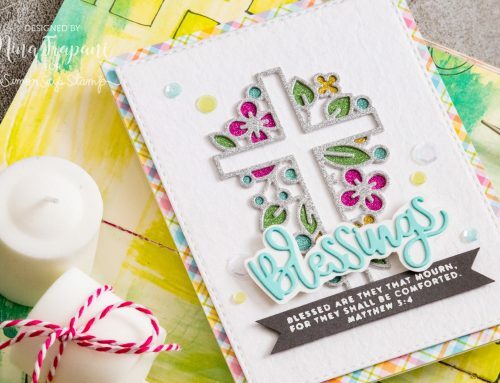 I further embellished the card with a few iridescent, clear sequins from Hero Arts’ Snow and Berry mix, and some dots of the Nuvo Vintage Drops in Bohemian Teal; the turquoise color complements the florals so perfectly! 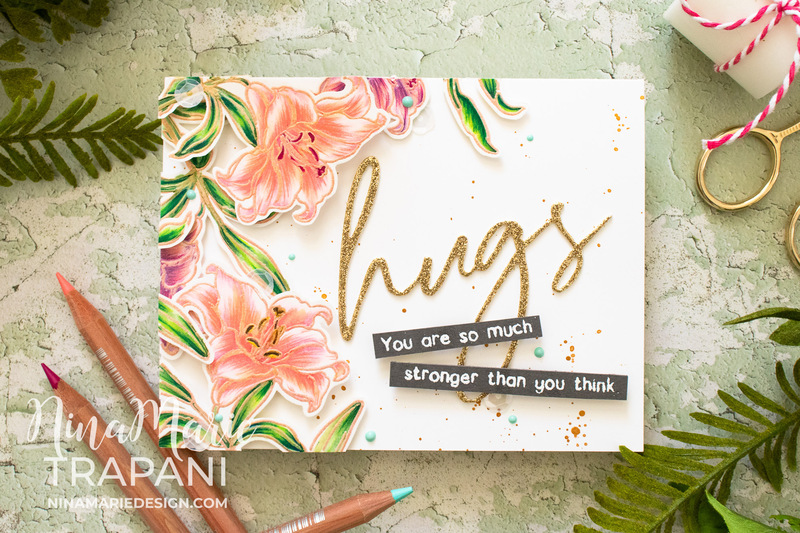 I hope you enjoyed this inspiration featuring the Altenew Darling Lily stamp set, as we celebrate their 5th Anniversary today! Thanks for stopping by and spending a bit of time with me; I will see you again very soon with more ideas to share. 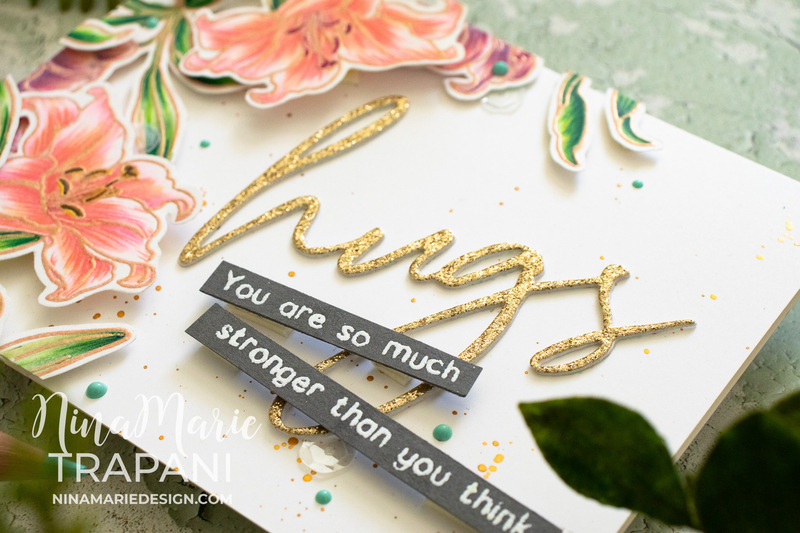 Keep on reading for the next stop in the hop, plus giveaway details! 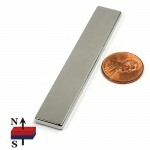 Altenew is giving away a $50 gift certificate to 5 lucky winners and one Altenew Academy class to 10 lucky winners. There are also 14 awesome prizes up for grabs too! Leave a comment at every stop in the hop to increase your chances of winning! 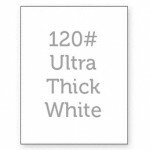 33 winners will be chosen at random from the comments left on any of the blogs in the hop and will be announced on the Altenew Blog on 4/20/2019. 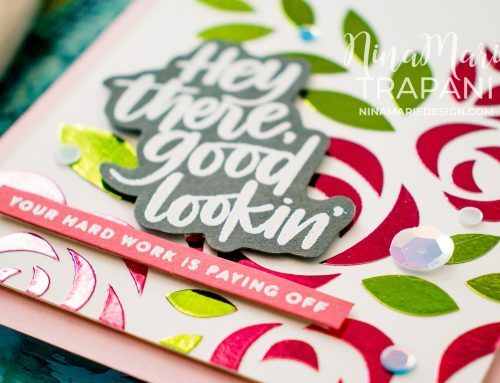 great stamp choice, Nina! luv the look of pencils with markers. it’s so pretty!